IT'S NECESSERY USING 2TE116 LOCOMOTIVES! ATTENTION! FOR CORRECT USING OF THIS LOCOMOTIVE YOU NEED TO DOWNLOAD CABVIEW 1 VER. 3.0 OR NEWEST AND SOUNDS 2 FOR 2TE116! ATTENTION! FOR CORRECT USING OF THIS LOCOMOTIVE YOU NEED TO DOWNLOAD CABVIEW №5 AND SOUNDS №2 FOR 2TE116! ATTENTION! FOR CORRECT USING OF THIS LOCOMOTIVE YOU NEED TO DOWNLOAD CABVIEW №4 AND SOUNDS №2 FOR 2TE116! ATTENTION! 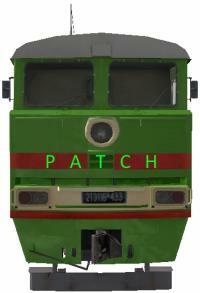 FOR CORRECT USING OF THIS LOCOMOTIVE YOU NEED TO DOWNLOAD CABVIEW №3 AND SOUNDS №2 FOR 2TE116!